How much is wrapped up in these few words, God for us! They form one of those marvelous chains of three links so frequently found in Scripture. We have "God" linked on to "us" by that precious little word "for." This secures every thing, for time and eternity. There is not a single thing within the entire range of a creature's necessities that are not included in the brief but comprehensive sentence which forms the heading of this paper. If God be for us, then it follows, of necessity - blessed necessity - that neither our sins, nor our iniquities, nor our guilt, nor our ruined nature, nor Satan, nor the world, nor any other creature can possibly stand in the way of our present peace and our everlasting felicity and glory. God can dispose of all - has disposed of them, in such a way as to illustrate His own glory, and magnify His holy name, throughout the wide universe, forever and ever. All praise and adoration be to the eternal Trinity! 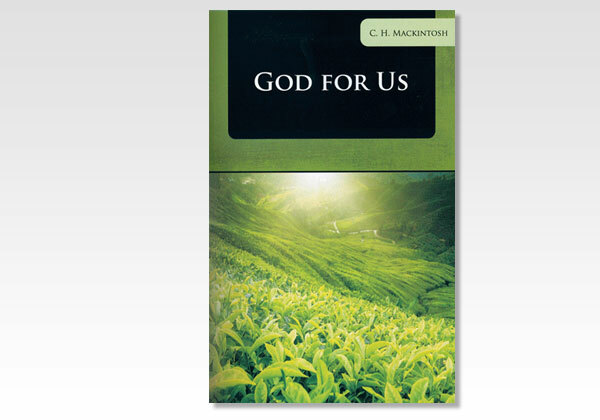 How can we know that God is for us? Contrary to misconceptions of God on the part of many, C.H.M. presents in this article five blessed proofs from the Scriptures showing most unquestionably that God desires the fullest, richest blessing of mankind.